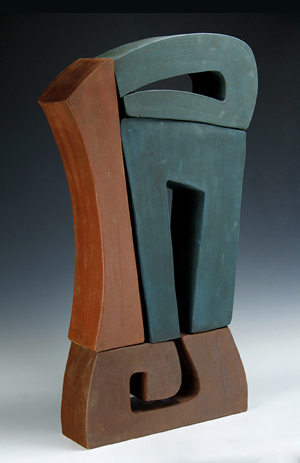 Howard Skip Sensbach, ceramic instructor and artist in residence at Misericordia University, recently had two works accepted for internatinoally juried exhibitions in Pennsylvania and Missouri. 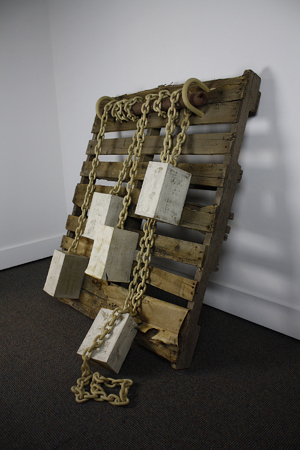 Sensbach's sculpture, "hang,'' will be on display at the BoxHeart Gallery in Pittsburgh from Jan. 19 through March 5, with an artists' reception on Jan. 23. The exhibition, "Art Inter/National ... here and abroad,'' examines how environment influenced the artistic process or how the world has influenced the artist. The BoxHeart received hundreds of entries for consideration. Of these entries, 22 artists were selected for participation and 25 works of art in a variety of media will be exhibited. "Glyph #2" will be on display at the Foundry Art Centre in St. Charles, Missouri from Dec. 11 through Jan. 22, with an artists' reception on Dec. 11. The exhibition, "Context,'' asks what can be the effect of combining written language with visual language. The exhibition asks the artists what happens at the intersection of the visual arts and the literal arts. Sensbach's work will be part of the 66 pieces of artwork on display that were chosen from 264 works submitted by artists from 20 states and Canada.